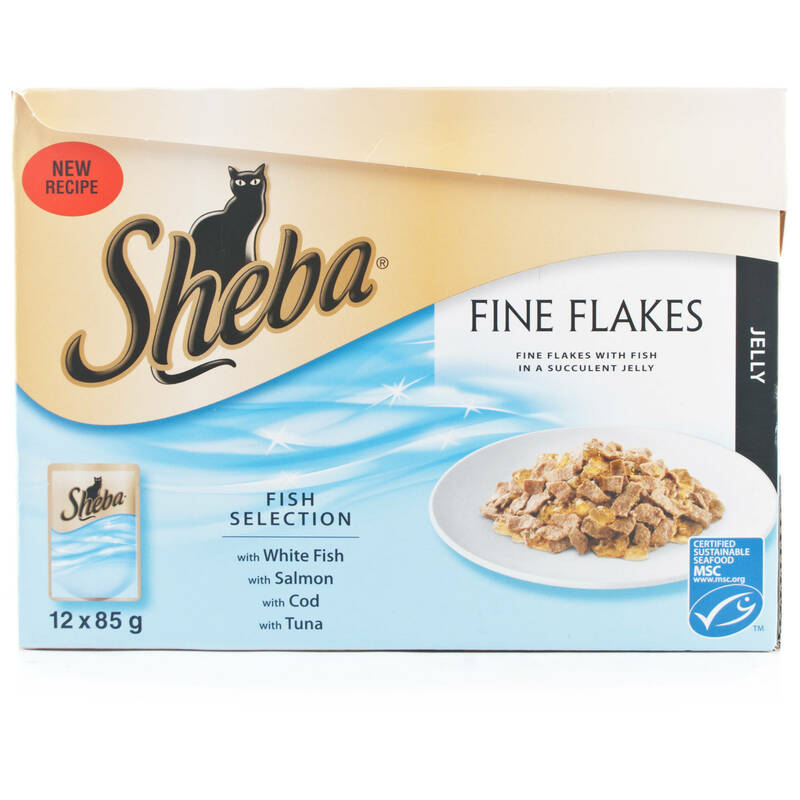 Sheba Fine Flakes are pouches which are full of small flakes of either meat or fish in a succulent jelly. 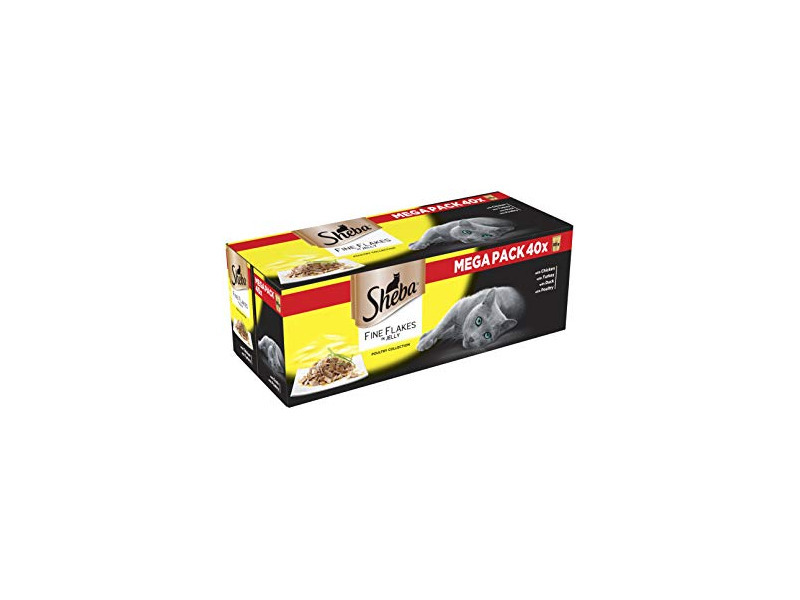 Each recipe is a delicious meal that your cat will love. Comes in variety packs to ensure your cat will never get bored. Meat and Animal Derivatives, Fish and Fish Derivatives (including 4% Whitefish), Minerals. Meat and Animal Derivatives, Fish and Fish Derivatives (including 4% Salmon), Minerals. Meat and Animal Derivatives, Fish and Fish Derivatives (including 4% Cod), Minerals. Meat and Animal Derivatives, Fish and Fish Derivatives (including 4% Tuna), Minerals. Meat and Animal Derivatives (including 4% Chicken), Minerals. Meat and Animal Derivatives (including 4% Turkey), Minerals. Meat and Animal Derivatives (including 4% Duck), Minerals. Meat and Animal Derivatives (including 4% Poultry), Minerals. An average cat (4 kg) requires approximately 2-3 pouches per day. Adjust the amount of food to the level of activity and body condition of your cat. Water should always be available. Serve at room temperature. There are currently no questions for Sheba Fine Flakes Pouches Cat Food - be the first to ask one!